Why is it called Steynsrus? Translated it would mean Steyn's Rest. 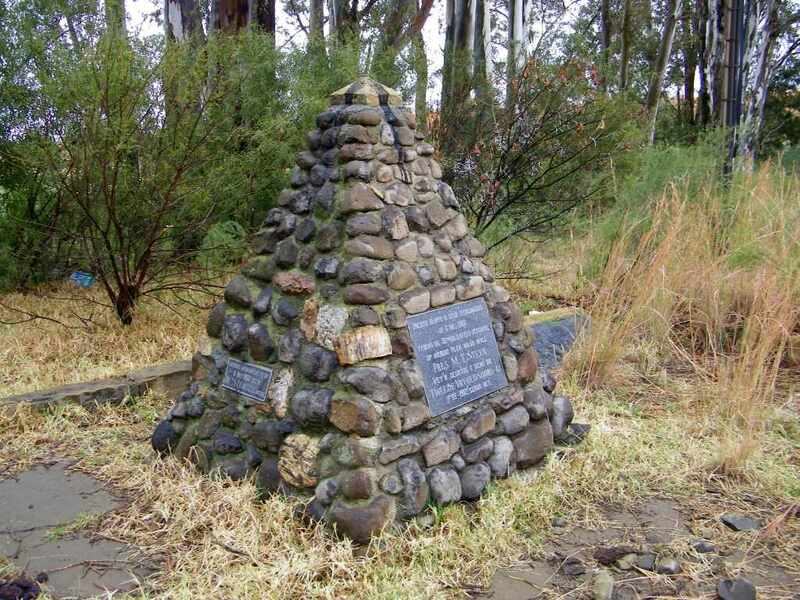 And exactly this is what happened here, on his way from Bloemfontein to get away from the advancing British forces during the Boer War he had a rest near the present town. 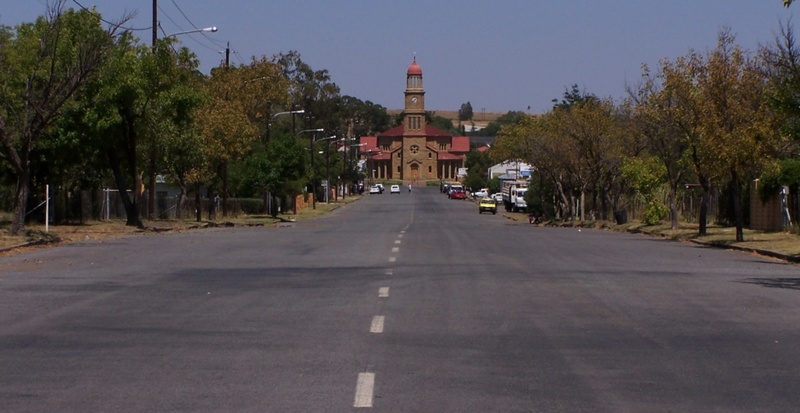 A monument has been erected at this point He and other members of the government were on their way to set up a temporary capital in Heilbron. The town was established in 1910 and this event was used to give it a name. Otherwise there is very little about the history of the place to be found. This beautiful sand stone church was well placed at the end of Van Riebeeck street. Coming in from the north-east on van Riebeeck it makes a nice picture and places the church well into the center of town. The corner stone to the first church was laid in 1911 and a new one built in 1928, which is this one shown in the picture. 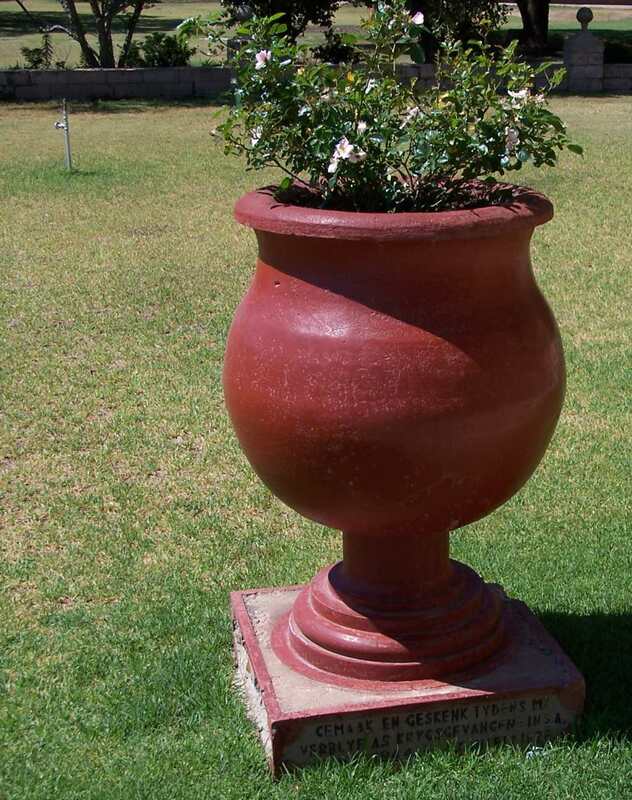 In the grounds one finds a flower pot with an inscription: 'Gemaak en geskenk tydens my verblyf as krygsgevangen in SA ??? 1944 C.Cancelliere', translated: Made and given as a present during my time as a prisoner of war in South Africa ??? 1944 C.Cancelliere. Isn't that a nice touch, receiving something like this from a prisoner? We were told that they had Italian prisoners in town during the 2nd World War. There is a fairly large station just outside town, the line is still active, but the station buildings are not in use and have been partially gutted. 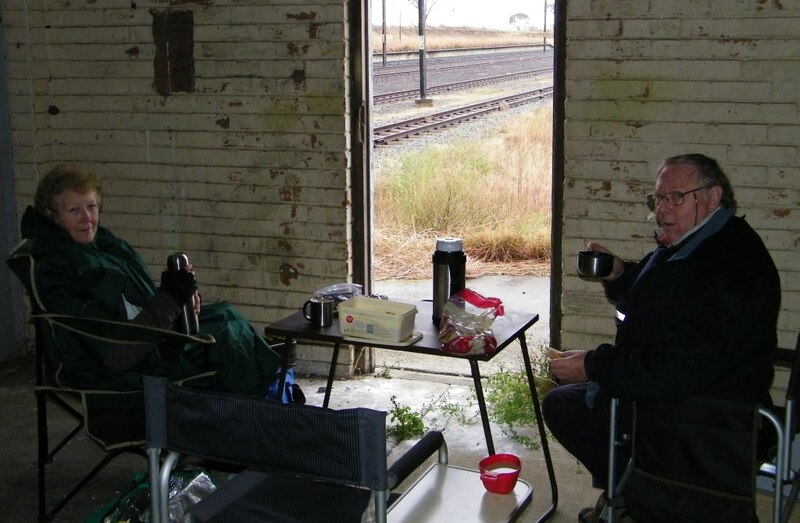 During our last visit in July 2012 the weather was cold and wet, we had to seek shelter in the abandoned goods shed for our coffee break. From the layout (number of side lines) and the number of buildings it is apparent that this used to be a busy station and one has to wonder, what has changed? Nowadays it doesn't look like any trains stop here. One has to ask, what happened? Is rail just not competetive against road? 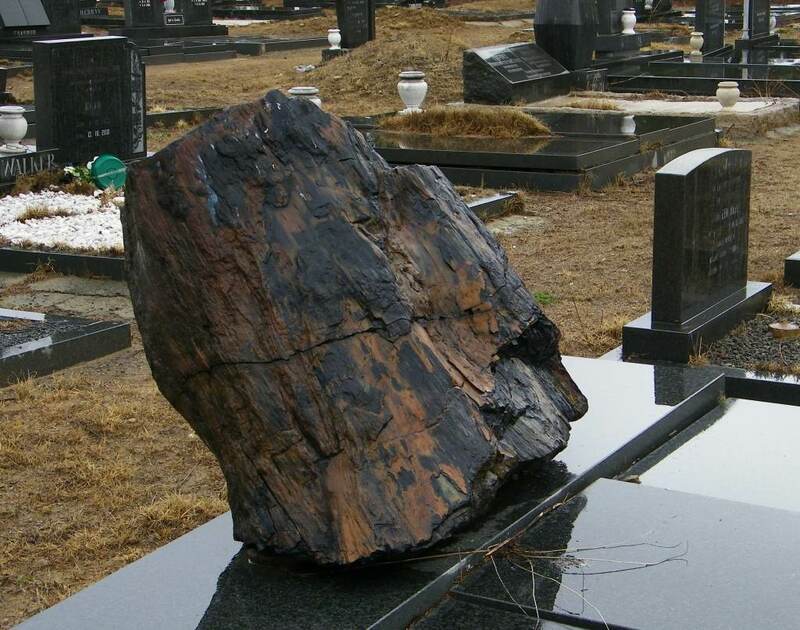 Two of the graves had fossilised tree stumps as stones, very impressive and interesting. I presume the fossils do come from the area. Another fact noted was that in this grave yard there were still some intact angles. 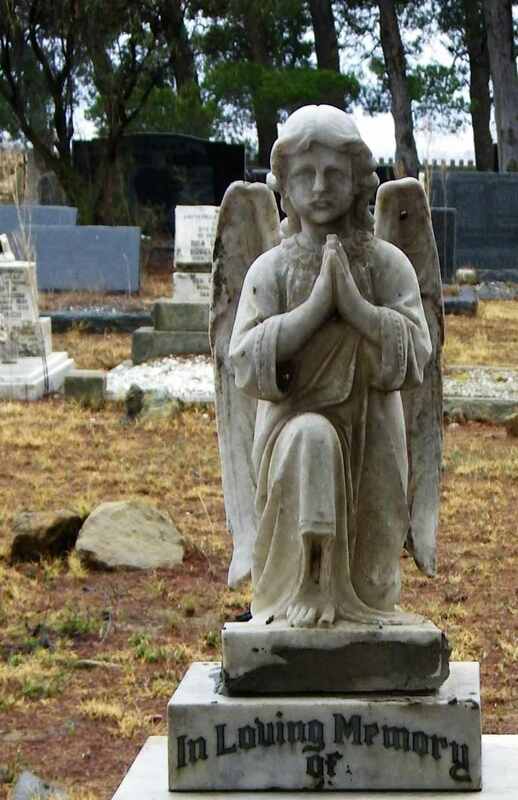 In most other cemeteries that we have visited all the angles have been smashed, very sad.